Today's Tip: Do not use your Primary e-mail!! Do not use your primary e-mail address while registering in hyips. Most of hyip admins send SPAMs to your email. After a while they will sell your e-mail address to third parties. Always use a secondary e-mail address for investment sites. To all visitors, members, surfers, bots! 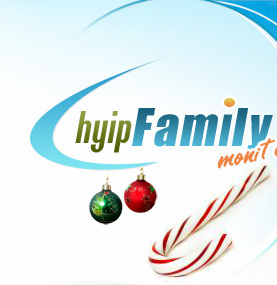 We are honored to have you here and wish you all a happy new year, a year full of success, full of profits! We wish you all a happy new year, a year full of success! We wish you a Merry Christmas and we hope this festival bring you joy and happiness in life! May this Christmas be so special that you earn more than any time!